During federal interventions, lawmakers are prohibited by law from approving any constitutional amendment, like the pension reform. 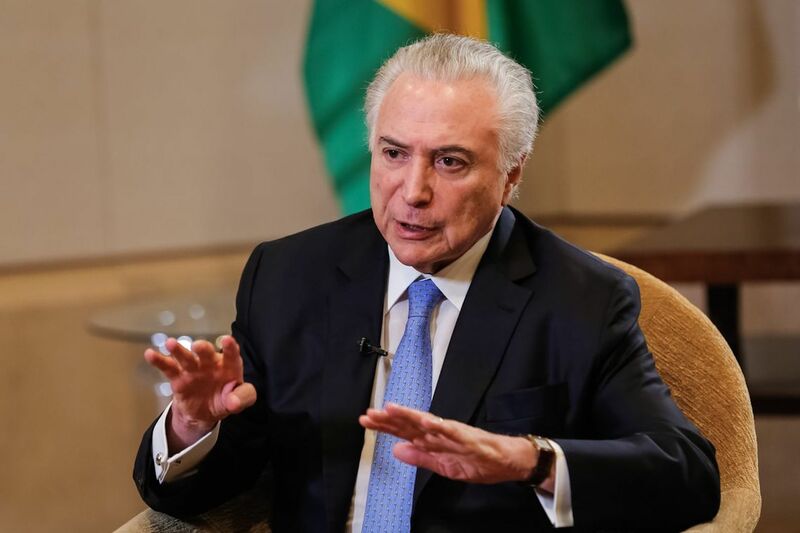 RIO DE JANEIRO, BRAZIL – President of Brazil, Michel Temer, admitted on Tuesday that the Federal Government may suspend the military intervention in Rio de Janeiro in order to allow congress to vote the country’s pension system reform. Brazil’s President Michel Temer admits to suspending military intervention in Rio for passing of pension reform bill, photo by Cesar Itibere/PR. “Since it [reform voting] depends on two voting sessions, maybe we can suspend the intervention,” Temer told a reporter from government-run communications conglomerate EBC in New York, where he delivered his speech at the annual United Nations General Assembly. Temer stated that ‘the fight against crime [in Rio] has yielded results’ and said that even if the intervention is suspended, the structure set up by the Armed Forces in the state would be maintained. Although the President calls the intervention a success critics say there is little to celebrate. According to the app, Fogo Cruzado, which allows users to report violent incidents to its community database, more than 5,800 shootings and gunfights have been reported throughout the Rio de Janeiro metropolitan region. That figure represents an almost fifty percent increase over the same period of 2017. The intervention, issued in February of 2018, is expected to end on December 31st. During federal interventions, lawmakers are prohibited by law from approving any constitutional amendment, like the pension reform. According to government officials the country needs the reform to be able to decrease the government’s burden of social security benefits. If approved, the pension bill would raise the minimum retirement age from today’s 58 to 65 years and workers would need to contribute at least 25 years to the social security system to be able to retire with full benefits. Since the bill was introduced in Congress, in December of 2016, there have been several nationwide protests, promoted by workers unions, that have taken thousands to the streets to demonstrate against the reform.